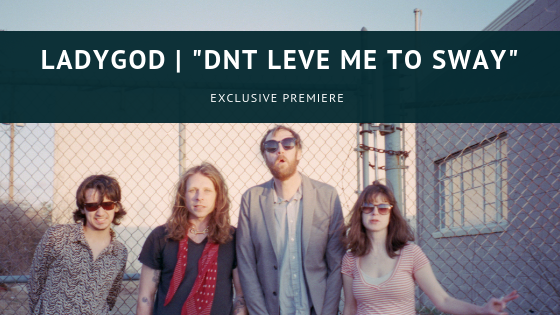 Exclusive Premiere: Ladygod's "Dnt Leve Me to Sway"
Sarah Lasley and Skye Handler have known each other for over ten years, and have come together in collaboration with this single-shot concept film that gives a nod to artistic integrity, allegiances, and feeling like an ant. The environment and score comment on desiring equilibriums of physical space and time to mirror mentally, and how that may be more of an ideal than a reality. Lasley is a filmmaker from Louisville, Kentucky, who is currently internationally touring her most recent film "Imagemaker". She is at present a lecturer of interactive multimedia at Indiana University and earned her MFA from Yale in painting and video in 2008. Lasley is also a graduate of the Skowhegan School of Painting and Sculpture. Handler, a RISD dropout and Berklee grad, is currently working with his rock n roll project, Ladygod, on their second full-length LP. He is also occupied with collaborative video projects with other members of his band, as well as his own painting and collage work. He has worked in conjunction with artists such as Tavaras Strachen, and was featured at the Venice Biennale in 2012.